Regus, the largest global workspace solutions provider partnered with MTI Consulting as a ‘workspace partner’ to provide workplace solutions for MTI’s ‘idea2fund’ project initiative. The concept behind the idea2fund project aims to identify and support businesses that encompass a disruptive business model and hence, pave for them the way to build-up and support them in realising their business potential. The preparatory platform through the idea2fund program would assist prospective entrepreneurs to put forth their venture ideas, be challenged and receive constructive feedback, get connected with investors and receive start-up consulting advisory and execution through MTI Consulting. 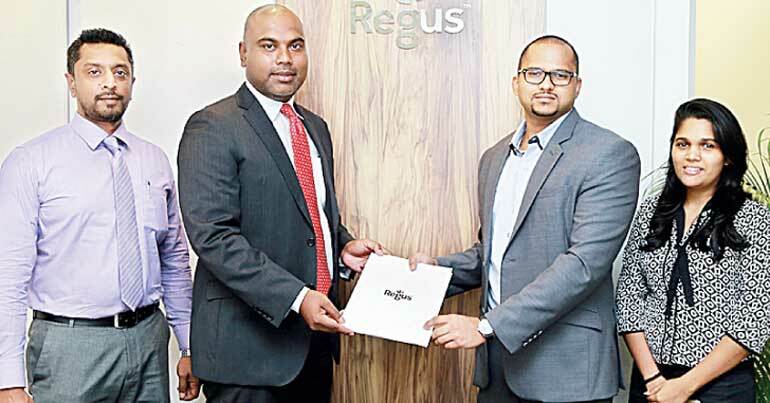 Through an understanding that would see an allocation of selected Regus Business Centres across Sri Lanka, the brains behind the potential entrepreneurial ventures will be provided with fully-equipped office spaces, on-demand meeting room facilities, day office facilities and other services at special rates. Currently, the Regus network includes six strategic locations in Sri Lanka. They include the World Trade Centre (WTC) in Fort, GPD Building on Dharmapala Mawatha, Colombo 07, Parkland Building on Colombo 2, McLaren’s Building on Bauddhaloka Mawatha, Colombo 04, Lotus Building on Nawala Road, Nawala and Bernard’s Business Park on Dutugemunu Street, Dehiwela. Regus’ network of more than 2,600 business centres in 106 countries provides convenient, high-quality, fully serviced spaces for people to work, be it for a few minutes or a few years. The benefits the clients would receive would no doubt be instrumental in determining the future aspirations of an individual or business related entity. The idea2fund project aims at attracting funding potentials for applicants who could be students and early career professionals to experienced and existing niche entrepreneurs. Recently, after realising the great endeavour that MTI Consulting has initiated this year with the idea2fund program, top corporates from a number of established and recognised industries in Sri Lanka had come forward and pledged in an investment pool totalling Rs. 700 million.